The Emerald Isle of Ireland is an enchanting land full of legend and beauty. Visit magical scenery and meet lively, chatty people. Here are some ideas for the top places you can visit in Ireland. Irish castles are stately, gothic, haunted and imposing. Cahir, Dunguaire and Kilkenny Castles all evoke visions of ancient Ireland. Blarney Castle in County Cork, famous for the Blarney Stone. Legend states that if you kiss the Blarney Stone, you’ll receive the gift of eternal eloquence. Beautiful and untouched, Ireland’s scenery is beyond compare. 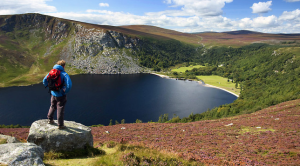 National Geographic voted Ireland’s walks as the best in the world. West Cork, Dingle, Galway, the Ring of Kerry are just some of the picturesque places to visit. For the adventurous there’s surfing, sea kayaking, paragliding, rock climbing, caving, and mountain biking throughout the country. The Rock of Cashel (St. Patrick’s Rock) in County Tipperary with it’s round tower, cathedral and chapel bearing priceless Celtic art and medieval architecture is where it’s said St. Patrick converted Aenghus the King of Munster to Christianity in the 5th century. In a country as ancient and fabled as Ireland, visitors are spoilt for choice when it comes to historical sites of interest. One such site, Brú na Bóinne in County Meath, was built around 3,200 B.C making it older than England’s Stonehenge and Egypt’s Giza Pyramids. Catch the Irish spirit in one of the 400 festivals throughout the year. Music, food, literary, Celtic, film and comedy festivals keep the good craic rolling. 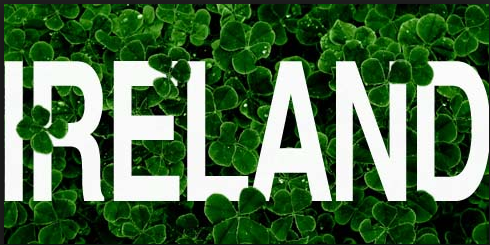 Ireland’s national holiday, St. Patrick’s Day is celebrated everywhere, with parades, street theatre and a lively carnival atmosphere. Ireland’s capital is buzzing with entertaining cultural pursuits, fine museums, beautiful architecture and lively pubs. Castles, galleries, cathedrals, parks, shopping, fine dining are all available in the capital city. Purchase a Dublin Pass for free access to some top attractions, plus discounts for tours and transportation, theatre, restaurants and shops. The Guinness Storehouse® and its St. James Gate Brewery in Dublin welcomes over 1 million visitors each year to their on-site stout producing plant. Worth a visit if you enjoy a pint. Ireland’s pub culture is legendary. Enjoy witty conversation and a taste of authentic Irish hospitality. Many Irish pubs feature live music – both traditional and modern – as well as great food such as beef and Guinness pie. Traditional dishes such as Irish stew, soda bread, farmhouse cheese and colcannon (cabbage/kale and potatoes) are still on the menu, but the new wave of Irish cooking focuses on fresh, locally grown ingredients and the catch of the day.